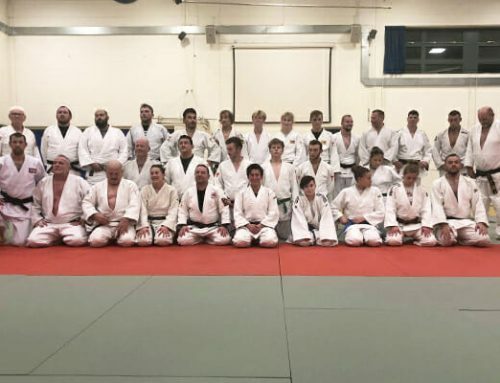 In our second Summer Course of 2017, The Worthing Summer School followed the Borders Summer school and drew 80+ judoka to the south coast for two days of superb judo. 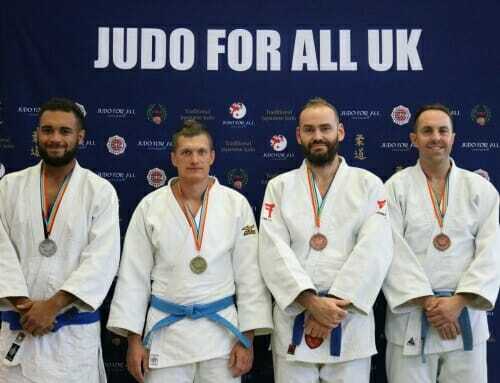 The course was led by JFAUK President Sampson Sampson (8th Dan) who was supported by a variety of high graded judoka such as Mick Leigh (8th Dan), Alan Jones MBE (7th Dan), Farid Nemouchi (6th Dan), Chris Cooper (5th Dan), Samuel Betu (5th Dan) and Rob Elliot (5th Dan). 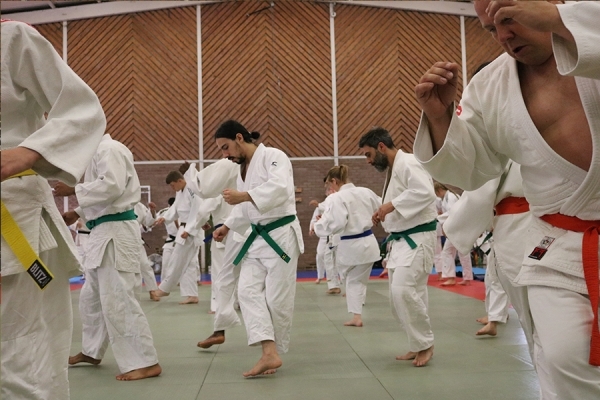 A key aspect of the course was breaking down techniques and showing how movement and agility exercises play a role in judo development and transform directly into judo techniques. 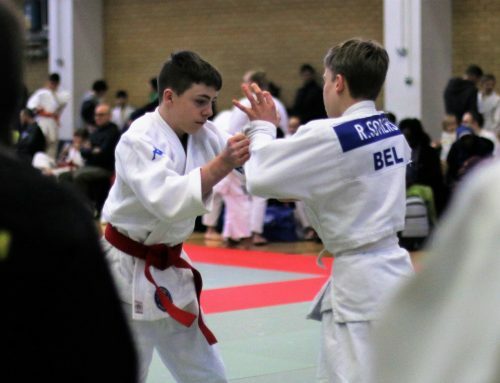 Following this, an emphasis was put into randori and competition, showing how techniques work in a more combat oriented environment. The course was very inspirational fresh with ideas and innovation, and most importantly the course saw judoka from all organisations practice good, traditional judo, integrating with each other without the interference of bureaucracy and politics. This year we were very pleased to also hold a level one refereeing course which saw 12 judoka take part as well as the opportunity for a Dan Grading. 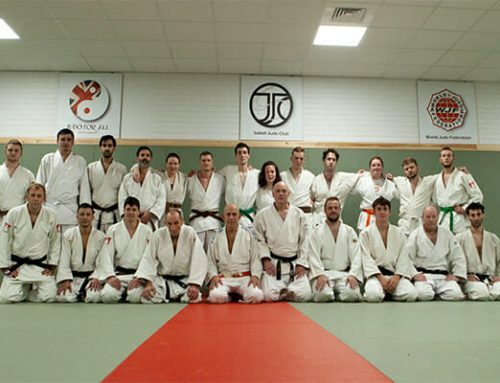 The Worthing judo course was defiantly entertaining and well received by everyone who attended. 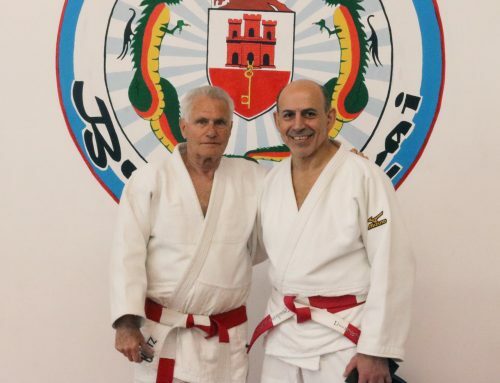 A special congratulation goes to Sensei Farid Nemouchi who was awarded his 6th Dan and Robert Elliot who was awarded his 5th Dan. After the judo ceremony, all descended to the coast where a much-needed BBQ beach party was held. Thank you to all attended and helped to make this course a success. A final thank you to Chris Cooper and Worthing judo club for organising such a wonderful event. A hard act to follow but we now look forward to making this event even bigger and better for next year.